Subtitle: A Definite Oxymoron According To The Scriptures! (See previous article, www.cuttingedge.org/articles/p238.html for more on the same subject). The increasing number of women being ordained into the ministry is another clear sign that the end-time apostasy is upon us. For many years only fringe elements within Pentecostalism would allow them to preach, but what started as a trickle is now becoming a flood. Today formerly conservative Protestant denominations/churches around the world are yielding to unrelenting pressure from women wanting to become pastors--a legacy of the Women's Liberation Movement of the 60's and 70's. But is it scriptural for a woman to be a "bishop", or pastor, as Christians generally refer to the office today? The desire to serve the Lord Jesus Christ in that capacity is commendable and where intellect, ability, and compassion are concerned, many women can "run rings around" pitiful preachers like myself. But ability and availability is not the issue. Quite the conrary--the deciding factor must be "what sayeth the scriptures?" Because God dictated the qualifications for those whom He calls to be ministers of the Gospel. Arnold Swartzenegger, a naturalized citizen (he was born in Germany) and the present Governor of California, has repeatedly expressed the desire to be President of the United States. But regardless of his political ambition and personal ability, that wish must remain unfulfilled because our Constitution prohibits foreign born individuals from holding that office. And while it is possible that politicians could bring about a constitutional amendment to change that law--thereby opening the door to the presidency for alien-born individuals--God's rules and regulations are "set in stone" and not negotiable. "The saying is true and irrefutable: If any man [eagerly] seeks the office of bishop (superintendent, overseer), he desires an excellent task (work). 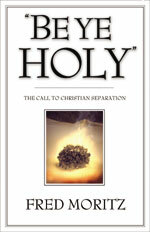 Now a bishop (superintendent, overseer) must give no grounds for accusation but must be above reproach, the husband of one wife, circumspect and temperate and self-controlled; [he must be] sensible and well behaved and dignified and lead an orderly (disciplined) life; [he must be] hospitable [showing love for and being a friend to the believers, especially strangers or foreigners, and be] a capable and qualified teacher,  Not given to wine, not combative but gentle and considerate, not quarrelsome but forbearing and peaceable, and not a lover of money [insatiable for wealth and ready to obtain it by questionable means]. He must rule his own household well, keeping his children under control, with true dignity, commanding their respect in every way and keeping them respectful. For if a man does not know how to rule his own household, how is he to take care of the church of God? He must not be a new convert, or he may [develop a beclouded and stupid state of mind] as the result of pride [be blinded by conceit, and] fall into the condemnation that the devil [once] did. Furthermore, he must have a good reputation and be well thought of by those outside [the church], lest he become involved in slander and incur reproach and fall into the devil's trap" 1 Tim. 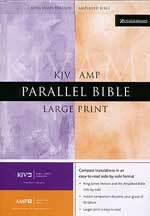 3:1-7 (Parallel Bible, KJV/Amplified Bible, emphasis mine). "BISHOP an overseer. In apostolic times, it is quite manifest that there was no difference as to order between bishops and elders or presbyters (Acts 20:17-28; 1 Peter 5:1-2; Phil. 1:1; 1 Tim. 3). The term bishop is never once used to denote a different office from that of elder or presbyter. These different names are simply titles of the same office, “bishop” designating the function, namely, that of oversight, and “presbyter” the dignity appertaining to the office. Christ is figuratively called 'the bishop [episcopos] of souls' ” (1 Peter 2:25). Over many years the term "pastor" has become the term used by most Christians to denote ministers who have been called to the office of "Bishop", or "Elder"--that is, to assume the responsibility of spiritual leadership for a group of believers organized as a "church." Whereas "preacher" loosely refers to all ministers of the Gospel who share the responsibility of evangelizing, discipling, and exhorting adult males, along with women and children. And it is precisely the point about ministering to men that excludes women from being preachers in the historically accepted sense of the term. "Let a woman learn in quietness, in entire submissiveness. I allow no woman to teach or to have authority over men; she is to remain in quietness and keep silence [in religious assemblies]. For Adam was first formed, then Eve;  And it was not Adam who was deceived, but [the] woman who was deceived and deluded and fell into transgression" 1 Tim. 2:11-14 (Parallel Bible, KJV/Amplified Bible, emphasis mine). Eve was totally deceived into disobeying God when Satan, masquerading as a serpent, tempted her. But Adam followed her into spiritual death "with his eyes wide open," so to speak. And because of Eve's demonstrated susceptibility to deception, God ordained that men must shoulder the responsibility for spiritual leadership. That principle was never specifically stated in the Old Testament, but in practice it was seen in the all-male priesthood of Israel. God assigned Aaron's sons the responsibility to serve as priests, with Aaron being the first high priest and therefore a type of Christ--the ultimate spiritual leader and male figure. So a desire to assume the role of pastor--along with intellect, educational achievement, and a host of other things seemingly indicating women should be equally qualified (if not more so in some cases)--are totally irrelevant according to God's Word. Because in every organization there has to be a leader and men are supposed to fill that role in Christian homes and churches. "For if I [merely] preach the Gospel, that gives me no reason to boast, for I feel compelled of necessity to do it. Woe is me if I do not preach the glad tidings (the Gospel)!" 1 Cor. 9:16 (Parallel Bible, KJV/Amplified Bible, emphasis mine). So with that being the case, how can proponents of women in the ministry explain away the fact that for over 1900 years of the Church Age there was no historical evidence of any appreciable numbers of them being compelled to answer the call? If God had been calling women to serve in that capacity during those years, all the male chauvinists under heaven and their traditions could not have stopped them! But only after the political effects of the women's liberation movement opened the doors during the last century has there been any real impetus in that direction. Was God just waiting for that change in societal attitude to clear the way? Frankly, I am of the opinion that the answer should be obvious.